The Lakeside Daisy (Hymenoxys herbacea) is a rare perennial wildflower currently listed as a Federally Threatened species in the United States. The only natural population of Lakeside Daisy in the US occurs on the Marblehead Peninsula of Ottawa County, in the Lake Erie region of Ohio. It's currently listed as Endangered in Ohio. 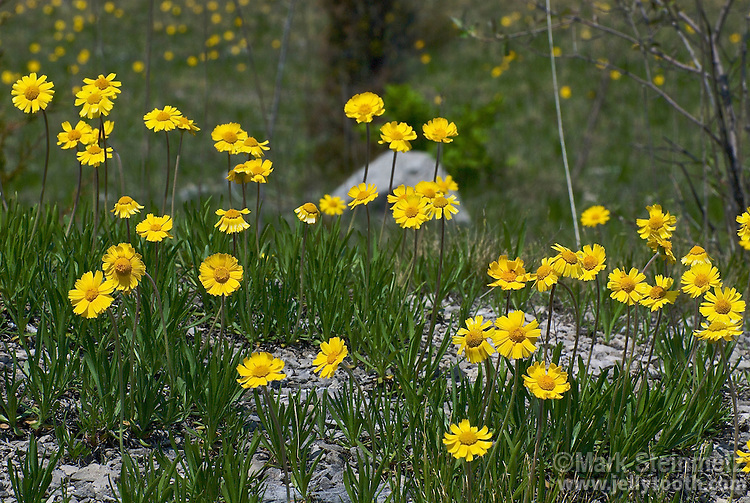 Lakeside Daisy favors nearly barren limestone bedrock in full sunlight. Nearly all of this habitat has been destroyed for limestone quarrying.